Collection of TOP Photography WordPress Themes of 2019. WP Themes for your showcase website with your professional portfolio and some of your best shoots! You might also want to have a look on our creative portfolio WordPress themes collection! 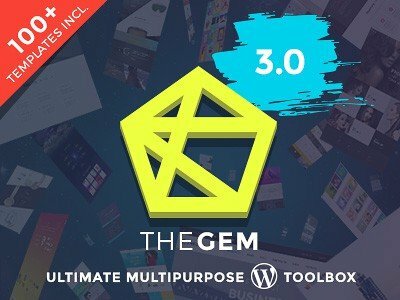 TheGem is a beautiful responsive WordPress multipurpose theme, specially made for creative professionals. It has been developed to service a broad range of scopes, with plentiful conceptual demo websites readymade for specific applications with custom-crafted layouts and creatively conceived styling for plugins, widgets, sidebars, headers, footers and much more. TheGem is a perfect theme for showcasing beautiful, high-resolution photography and is the best choice for photography studios, amateur photographers, professional or freelance photographers, making a positive impression on potential clients by showcasing your visual works in the most aesthetic and creative way. Photographers love TheGem because it gives them the visual freedom they need to showcase their works in just the right style. This theme comes with eCommerce integration that allows you to sell your prints, photography or other merchandises online. Since TheGem is SEO optimized and one of the fastest WordPress themes 2019, you are guaranteed that your site will rank well on major search engines. With a focus on photography specific features and options, TheGem will make any photography website come alive in a matter of minutes, without ever having to write a single line of code. This multipurpose creative template is something that you cannot leave out of your account if you are looking for a photography-related solution. Actually, its name speaks for itself and it’s definitely one of the best WordPress themes for photographers on TemplateMonster marketplace. Every website based on this ready-made template is intended to impress and sweep everybody off their feet. There are several instruments that will assist you in building a memorable and up-to-date website that will present your photography studio services in the best possible light. First of all, we should speak about a marvelous Elementor Page Builder. You cannot find such tasks in terms of customization that this drag-and-drop builder is not capable to solve. In order to inform your visitors about your services and highlight their main benefits and values, you just need to use a great About page. Furthermore, you can showcase a full list of your services, introduce team members, show off reviews from satisfied clients, and speak about your current and upcoming projects. Each of these goals can be realized thanks to a huge collection of Cherry Plugins. There are also various page layouts that you only need to fill with your original content. Without a doubt, each visitor will adore a comfortable interface of your online project. A great mega-menu can be called an indispensable part of all websites. It allows dividing your pieces of information into understandable categories and subcategories. Do not forget that you can always choose fonts and colors in order to express your ideas by means of your design. FrameMe is a tender and exquisite photography theme WordPress solution that will become your assistant in building an online-presentation of your professional photography studio. In our opinion, it is most suitable for those photography who adore taking love stories and portraits. Yet you can always take advantage of this wonderful ready-made solution to showcase any images your soul wants. There are dozens of pre-designed pages included in the package. All of them serve specific purposes. You can easily use them to introduce your services and their advantages. Some of them are developed to help you in spreading the word about your previous and future projects. If you want to write posts about some helpful tips for photographers (both professional and amateur ones), feel free to use an incredible blog functionality. It will allow posting your articles and make them capture the attention of every single person. Your pages can be tweaked up thanks to a great Elementor Page Builder. It does not require any coding skills from you. You can also mix different variants of header, footer, and blog layouts in order to get an authentic website as your final result. It’s also compatible with more of the google maps WordPress plugins which are great when setting up the contact page. There is also a fully-fledged Cherry Search that allows spending minimum time on searching required photos or services. By the way, developers of this wonderful template have taken care of some additional things, too. If you feel that your photos are not enough, you can always choose some topical images from a small collection of them. This WordPress theme is a useful and promising platform that can help provide hobbyists, professional photographers, photojournalists and photo studios modern and sophisticated websites. Users can fully customize their sites to accommodate their working or branding terms without any specific coding experience or knowledge. This theme uses the Codestar Framework with intuitive visual interfaces for layout design and streamlined customization. The Kazron photography theme also uses the Booked Appointments plugin which allows you to connect with customers, get more photo shoots, grow your business. Your website visitors can book online schedules and appointment, too. The Kazron WordPress theme is fully-responsive, allowing an incredible and optimize look on all mobile devices, whether it’s an Android smartphone or using Retina displays. Users have the option to customize the homepage with more than 20 available layouts, and the light and dark version to help align a website to the photographer’s brand. Setting up is just a click away. The one-import demo allows you to easily create a website by uploading a demo content, then customizing it to your liking. The theme also supports 10 different album layout so you can organize and showcase your photography differently. An online photography store interface so you can make money out of your individual photos and gallery. The Kazron WordPress theme also supports various blog layouts, so you can create a story behind your brand and your photography. This can also help with your SEO and marketing. Ajax search is supported all throughout the site, so you can trust that you provide your website visitors the user experience they deserve. LandScape is the latest WordPress theme from PremiumCoding guys. They had developed, coded and delivered a fast and responsive WordPress theme with great and modern design that catches your attention straight away from the first seconds. LandScape is for photographers, bloggers or any other creative individuals who wish to present their portfolio in a shiny and crispy way. It is Retina displays ready so Apple fans will have a pleasant experience viewing your stunning galleries. LandScape comes with 8 pre-built home-page and blog layouts so the creating process is a bit easier and faster. Choose the blog layout to be full-width or with sidebars. On top of that the theme has 5 predefined post templates available including Standard, Video, Audio, Gallery and Link. The biggest power of LandScape is the ability to present high-resolution and high-quality pictures in a catchy and glossy way. It is mostly due to two premium plugins which are included in the theme. It is Slider Revolution and Essential Grid. Both mentioned plugins are the best what you can find in their categories so there is no point of looking further for a replacements. Theme has been build with performance and speed in mind therefore it has been written in a way that follows all the latest SEO requirements, performance standards and HTML5 & CSS3 best practices. Select what to load and what to leave unseen so you keep the loading times very low. Support and documentation at PremiumCoding is a big thing therefore you can always count on them. There is a professional support team available all the time and with the purchase you’ll get access to the extensively detailed documentation. WHIZZ is another fully packed WP theme for photography WP website creators. You can check out 46 demos before you decide and see if they help you to make decision, whether theme fits your needs or not. Also pre-designed demos can be imported and used for your website. You can also take advantage of amazing features, such as, Lightroom synchronization, clients pages, events setup, online shop. Choose from tons of pre-designed elements, like 19 collection styles, 24 gallery styles, 20 pages & layouts, 8 menu navigations, 6 blog versions, 9+ headers & footers, etc. WHIZZ is super SEO friendly and user and search engine robots will love the super fast speed of the theme as well. Everything is build with visual composer which is easy to use and saves plenty of time, because it doesn’t require any special skills in coding or programming. Theme is fully mobile friendly and can be loaded on any device, tablet, laptop or phone. Make sure you give a chance to live version and try it out! NOVO is amazing WP theme for photographers with amazing features and tweaks to create truly professional website for any type of photographer. It fits big agency but also freelancer or artistic photographer. You can take advantage of WooCommerce compatibility and easily create service packages or sell your photos directly on your website. No coding skills needed or EXTRA knowledge for managing you stock. It’s all straightforward, easy to setup and very well documented. You can easily switch between light or dark version and show off your work in various pre-designed styles. When you install demo data you can easily choose from pre-designed websites parts and elements, such as, 6 homepages, 25 galleries/portfolios, 22 pages (blog, shop, services etc. ), 4 menus, etc. You can load them from demo data, pick the ones you like and start editing them for your needs. It’s all done with premium extension (included in theme) called visual composer. It’s very and most popular website builder for WP websites. Make sure you test out live demos and visit landing page of NOVO in order to check out more details. Kalium is a gorgeous and highly appealing, modern and lightweight, engaging and responsive WordPress creative multipurpose, portfolio and online shop website theme. Kalium is a bright and colorful website building platform, a solution for webmasters with or without previous development experience to effortlessly create amazing websites capable of eloquently making visual statements that reach a wide and indistinct massive online audience. Theme is perfect for photographers, photojournalists and photography aficionados, or anyone sitting on vast collections of high resolution imagery that needs a capable and competent, sleek and engaging soapbox for their works to be seen by the world at large. Kalium has plentiful options for you to customize the end user experience of visitors browsing through your galleries or photography portfolios, as well as thorough Dribbble Portfolio integration. A myriad photo hover effect animations are offered within Kalium, ensuring you always find the right way to frame your content for your audience. Features like the Visual Composer, Revolution Slider and LayerSlider make short work of website building tasks and layout customization as well, while a ton of demo websites are readily available to get you started off on the right foot. Try Kalium today, and give your images new life! PhotoProof is very modern and one of best WordPress themes for photographers with pre-made designs ready to import with one click. PhotoProof is very powerful WordPress theme with a lots of features and various premium plugins like Visual Composer, Slider Revolution, WooCoommerce and WPML. It is perfect for photographers, creative people and anyone who need a good looking website for his new business. The best feature in this theme is the Photo Proofing. Thanks to this option your customer can accept photos directly from your website. This new WordPress theme has been designed to run very good on any mobile and desktop popular devices. No matter if it is a cellphone, tablet or a desktop computer. Your website will look great there! You don’t have to create your website from scratch. With ready Demos, you will import the whole website in few minutes. With many settings, you can do almost everything from theme admin panel without any coding skills. Ready page will save you tons of time working on your site content. Just import a demo and replace it with your content. With this theme you can build many different photography layouts! You can also create your unique page using the included visual composer builder. PhotoProof is made with best SEO practices in mind. You can also use the Yoast plugin to boost your SEO. Fatmoon is theme for creative photographers with need for professional online showcase of their work! There are plenty of options for setting up perfect photography portfolio and it’s super easy to manage it. You can modify simply everything with ever touching the codes. The best thing about fatmoon is 40+ pre-designed unique demos which are fully functional pages and they can be easily adjusted. All demos are worth checking, they are all included in live preview of the theme. Go for it! You can import them as demo data content just by 1 click and customize for your needs. Everything can be done by visual composer which is included for FREE and it’s one of the best tools (plugins) on the market. Simply drag & drop, no need for coding knowledge. What else? Theme comes with tons of other features, such as, woocommerce plugin, pricing tables, ajax search, mega menu, parallax & video backgrounds, 15+ different headers, WPML ready, SEO ready etc. Fatmoon also has powerful media manager which helps to organize your photos and videos in very convenient enjoyable way. It’s ideal product for professional photographers with basic PC skills. You can setup everything by yourself, just follow documentation or contact customer support. There are always new updates by theme developers coming up which you get always for FREE. It’s pretty universal and you can use it for any type of photography (wedding, food, travel) but also for other professions, such as, artists, designers, graphic designers, fashion etc. With all demos you can use it for more projects and cover much more online works. Oshine is professional multipurpose wordpress theme which is ideal for creating photography portfolio as well. It comes with 19 unique pre-designed demos which are ready to be used just by 1 click! You can easily import them from data demo content which is included in theme package. Oshine is very intuitive and easy to build, just follow attached documentation and you won’t have any difficulties. No coding skills needed to get the job done. In case you have some trouble stopping you, feel FREE to contact author’s support forum and submit your ticket. Theme comes with tons of features and pre-designed elements, galleries and interactive showcases for photographers. There are bunch of amazing features which make Oshine very powerful, such as, page builder, unlimited portfolios, master slider, parallax sections, video backgrounds, woocommerce integration, various header options, mega menu, etc. Oshine has been one of the bestsellers on themeforest for really long time. It’s has gone through plenty of advancing updates and you be sure about its quality. Oshine is mobile friendly and fully responsive what means you can load it by any type of browser on any type of internet browsing device (phone, tablet, laptop etc.). Don’t hesitate and visit live demo to check out all available layouts. Feel free to take advantage of ecommerce options and start selling on your website. You can easily put your photos as downloadable products and you can start earning passive online income. Make sure you present your best photo shots on your homepage in order to achieve as best impression as possible. Check out this article on how to choose best photos for your website! It’s very helpful to keep this rules in mind before you even start building your web. Having PRO portfolio website is essential for every photographer! Persona is PRO photography WordPress template with beautiful showcases and portfolio options for photographers. It comes with clean design and makes your photos stand out and noticed by visitors. You can choose from 7 different homepage variations what might be actually pretty hard since all them are perfect. There are also options for bloggers, agencies or freelancers what makes this theme quite flexible. Template comes with bunch of other pre-designed subpages, such as, blog posts, blog, single photo (project), contact us, coming soon, about us page etc. All together 24 pages, ready to be used. Everything can be installed by just one click, no need for previous experience. Theme is fully supported and updated on regular basis and of course documented step-by-step in all the details. I would suggest you to hit live preview button above and have a look on your future website. Flat is a premium responsive theme with minimalistic design. It suits any agency, personal bloggers, magazines and news or to showcase your photography work. Flat is fully responsive including responsive minimalistic slider. It fits screens and displays of any sizes and types. Numerous styling options makes it easier to personalize the outlook. Starting from changing the background color to changing the background image or customizing the menu. One can do pretty decent design job with all the tools available in the package. First start with importing a demo content than choose one of the eight smooth homepage layouts that will suit your future website. All of them are minimalistic and modern. The content looks great, especially the pictures. Create a unique content so your visitors feel comfy to toggle between the pages or reading the blog. Once the first impression is positive you are on the best way to create a popular website with heaps of visitors. The code of Flat WordPress template is written in a way to ensure good SEO results and fast loading speed, on top of than Flat is compatible with current version of WordPress. Compatibility with the most popular browsers, such as Chrome, Safari, Firefox, IE10+, is another important benefit. No one wants to have a website that doesn’t load properly. With the purchase you will get regular updates and help from professional support team. If you think that slightly cheaper template will suit your project than it is good purchase however if you would like to create something outstanding it is probably wiser to spend few more bucks on a different template. PhotoLab is up to date modern and fully responsive WordPress template that suits photographers and businesses related to photography such as supply stores, film and digital processing companies. As most of the today’s WordPress themes PhotoLab is easy to use and maintain without knowing much about coding. Most of the building process is done by Visual Composer and Slider Revolution, two premium plugins that comes for free with the theme. PhotoLab is a really a modern and mature WordPress theme that can be used for hundreds of different websites each with different design. Theme is compatible with many important plugins which make it much more versatile and universal. Once you have compatibility with WooCommerce you can turn your website to an online store and start selling goods within day or two. The theme runs smoothly on various browsers such as FireFox, Chrome, Safari and IE9+. A wide range of customization options is offered by PhotoLab. With powerful theme options panel you can change and modify to your needs almost any part and aspect of the website. You can setup headers, menus, search mechanism, fonts, icons, hover effects, CSS3 animations, unlimited color options and much much more. HTML code used in the theme follows the latest SEO practices and Google recommendations. To ensure great SEO performance and fast loading speeds the theme is compatible with All in ONE SEO pack, SEO by Yoast and W3 Total Cache plugins (as well as other SEO and cache plugins). Extensive detailed documentation is included with the purchase as well as regular updates so you never miss any new feature or fixed bug update. The professional support team is here to help you as well. Rokophoto is one of the best photography wordpress themes on the market! It’s been developed by themeisle team which is currently one of the most popular out there! They serve 300 000+ customers with more than 59 themes and plugins. Rokophoto suites professional creative photographers who want to showcase their work in an outstanding way. It comes with bunch of awesome features, such as, 100% responsivity, clean code (SEO friendly), browser compatibility, easy localization, generous header option, modern slider, clean portfolio etc. You should definitely check out live demo and get experience on your own computer to see how cool Rokophoto template is. If you visit their theme page you can check out some cool examples of the other photographers which used Rokophoto for their showcase pages. Some of them will inspire you for sure and you will get cool ides for implementation into your web! Kleanity is a modern and sharp looking simple WordPress theme. It suits various purposes and projects. It is ideal for self presentation (or presentation of your work – blog, photographer, photo gallery, etc. ), portfolio show off (products, designs, etc.) or it can be used for business & corporate website. If you are into minimal designs, don’t look further as this stuff is for you. It is one of the best simple WP templates you can get. If you are running out of time with this theme your website can be up and running in one day! (If you have a clear idea it can be done within few hours). Theme comes with 6 hand crafted home-page designs, 14 unique blog layouts, 9 portfolio layouts, 6 gallery layouts, 19 header designs and 6 footer options. All this can be imported in one-click just within few moments. With powerful sidebar creator / manager create and assign a unique sidebar to each page (create unlimited amount of sidebars). The live customizer gives you the option of checking the changes instantly so you overcome the long save and load process. As you can see the customization options are vast and one can spend the whole week with arranging the final layout of your website but at the same time one can create a truly unique and beautiful website. It is only up to you, your fantasy and creativity how far you’ll go. Kleanity is featured with GoodLayers, very powerful and super flexible Drag & Drop WordPress page builder. It also comes with well known premium slider plugin Revolution Slider and another premium plugin iLightbox. The theme is fully responsive, translation ready and with SEO optimization it is ready to hit the first positions in search results. Btw it supports WooCommerce so once you decide to start online business Kleanity has you covered. With the purchase you’ll get a regular and automatic updates, detailed online documentation and if you still have any questions just submit a ticket to a professional support team. H-code is universal theme with amazing portfolio options for photographers. It comes with everything you expect from modern WP template. Author of the product, Themezza, has been doing very well on themeforest and keeps providing professional support to their clients. You will also find their documentation very descriptive and intuitive. Therefore, I would suggest this template to any WP user, skilled or with zero experience. H-code is also ecommerce friendly theme. It allows you to create fully functional eshop with all important features. That’s amazing for photographers as well because you can sell your best photos directly on your website. Portfolio options are endless and you can promote your work in plenty different creative ways. Make sure you show off your best work which leads easily to your contact form. Before you finish your website, preview and use it on your phone. You want it do work perfect and your portfolio to be easily accessible on any device. Template is fully responsive but make have a look which photo pops up first and make the first impression as perfect as possible. It will raise your chances of getting new clients. If you install “photographer demo” you will save a lot of time comparing to starting from the scratch. So if you like the preview picture, you’re almost there because every pre-made layout can be installed with just one click. Keen is creative and inspiring WordPress photography theme with beautiful minimal design! It’s great example on how you can make your photos to stand out from the website and still look highly professional. Theme is fully responsive and mobile friendly, ready to be loaded by any type of web browser on any internet device. To make process easier, author pre-designed for you all sub-pages and you can choose from 3 different homepage layouts. Just import demo data after theme installation and everything will be ready in few seconds! You don’t need to be web designer or developer to setup you photography website! Take advantage of all PRO creative features, such as, masonry portfolio options, parallax effects, interactive CSS3 & JQUERY animations, modern fonts, awesome icon packs, HTML5 & bootstrap 3 and clean W3C valid code. Author supports theme for FREE and you can anytime contact theme on support forum. Feel free to always download newest updates! Don’t forget theme documentation which you follow while setting up your website, you can’t go wrong with step-by-step guidance. Author of the theme, NRGthemes team has more than 9000 happy customers and offers 42 items in their themeforest portfolio. Make sure you visit their profile and live preview of Keen theme. Juno is the perfect responsive photography and magazine theme with thousands of options and functionalities that work amazing for photographers, freelancers and digital studios that would like to impress their future clients with their stunning portfolios or bloggers that would like to have journals that leave their readers breathless 12 different demos to suit your needs, 11 color schemes for cohesive branding, unlimited custom colors and styles, one-page option, visual composer with 20+ different elements, slider revolution, well written code, Instagram feed, SEO friendly content, 2 different icon sets, top-notch support, free updates, various blog layouts, ajax portfolio, slider and header options and much much more is what this amazing theme offers. Adaptability is the name of the game and this theme has it all. It’s mobile responsive and it flows beautifully on any device, be it a smart phone, tablet or a desktop computer. It’s time to go world wide and what is the better way to do it than to go with a website that is multi language ready like Juno. As if all of that is still not enough you even get 3 premium plugins with the total value of 76$ for FREE!!! Napoli is a creative tool not only for creative ones. It is a powerful and very modern WordPress theme that allows you to express your photography work. Building a website with Napoli is easy as it could be. All the customization options gives you the freedom to stay away from gray shadows of the crowds. Choose from seven handcrafted homepage demos and several beautifully pre-made pages like coming soon page, blog, contact or about us page. The template is available in dark edition as well. Pick up a gallery style with nice grid, change colors, adjust fonts, set up header and footer add the Instagram widget and you are good to go. If you think your products are good enough to be sold Napoli has integrated WooComerce. Transform your informative page to a fully functional online shop and take your business to another level. Napoli comes in a box with large variety of good stuff. Among them sits Visual Composer (the best drag & drop WordPress page builder on the market), awesome Booking Calendar plugin (total value of $49), Google Map integration, Call to Action button, social media sharing option, one-click demo content install and much more. The theme is fully responsive and blazing fast. The code follows all the most important SEO and Google recommendations, it is written to achieve great speed results and easy to modify. In case of any problem you can always look up the right answer in online documentation or contact a support team. Vector is another WordPress theme for photographers from dessign.net marketplace which offers one of the best deals on the market. You can get more than 130 themes for only 99USD with customer support, documentations, free setup & installation and regular theme updates. Vector is super simple theme which can showcase you photographs in very professional way and your website can definitely convert for you. Ideal solution for photographers where they can easily reconnect their visitors with social media channels, introduce themselves on “about page”, show off different categories of their portfolio, introduce their products in detail, blog about various topics in industry and have visitors easily to contact them. Vector is fully responsive and loads very well on mobile phones, tables or laptops. Full screen slider will take care of your website’s first impression! I would recommend to show off some of your best works, behind the scenes photos and also your personal photos in order to make it more authentic. Everything can be set easily and there is no need for hiring expensive developers in order to get your photography website done. With a little bit of FREE time and decent PC skills you will be able to get your photography website online and running in less than a week. Make sure you visit live demo in order to get proper visitor experience + I would recommend to see other themes from their portfolio since they all come in one big package! Widescreen is ideal solution for photography portfolio with great features and bunch of pre-designed layouts. Every photographer will find this wordpress theme very useful, professional and super easy to use. You don’t need to web designer or web developer to get the job done. Simply, import demo content and add you own photos to portfolio and your own content. For setting up layout, there is amazing AIT composer ready with tons of amazing elements, just simply drag & drop and fill in your content. Make sure you present best of your work and all photos in your portfolio are high quality. AITthemes are multi-language compatible and you can easily translate your backend and frontend as well, no WPML needed! Theme is fully responsive, mobile friendly and ready to be loaded by any web browser. What else? There is woocommerce compatibility and that allows you to sell products on your website and create fully functional eshop. Not many of photographers are using this option and they don’t sell at all or they sell on marketplaces where they have to share their income. You can also run a blog on your website and give advice on photography, write about your experience, share knowledge and through that attract bigger audience and show off your professionality. That’s definitely basic & successful strategy for every single photographer! Don’t forget to visit live demo and get to know the theme before you decide to make your purchase, live experience is always the best when it comes to WordPress themes. John Black is a fullscreen photography theme designed with focus on detail. Modern and crispy look of the available homepages and galleries will make your photography work appealing and representative. The best way how to attract and target customers is to express your work in a different, creative way. Let’s say you are a passionate photographer who does not have enough time and skills to code a website. In that case John Black is the right medicine to all your online issues. Theme comes with handful of extremely handy tools. Powerful GT3Page Builder plugin, fully customizable, responsive and retina ready, supports translations (.po & .mo files). The code was written with the best SEO results in mind. It is optimized for high speed and to load high resolution pictures as fast as possible. Overall experience is outstanding, to browse galleries, toggle between the pictures and photo albums is easy and intuitive. You decide if the skin would be light or dark. What color combination suits you and your work best. You can test, personalize, customize until you reach the state of satisfaction. John Black is a new product but it has already been a best-seller of a week in photography WordPress category. We can say than John Black has to go through some development as any other theme, but as a foundation it is an exceptional tool to work with. GT3 Themes is an trendsetter and elite author of great products in portfolio. With the purchase you get extensively written documentation and a outstanding support by a professionals who knows how to fix any bug. As photography templates should be especially rich in images, a problem of a wise combination of text and imagery occurs. How should a web design look to contain a perfect proportion of these things? This WordPress photography theme is a neat representative of those perfectly-balanced WordPress templates’ designs. Slowly scroll down the template demo and see how welcoming and easy-to-perceive these hover effects and dark color combination look. Pay attention to the buttons which are neatly placed on the right from the blog post banners. Your reader will be able to see the number of likes and comments which raises trustworthiness. Speaking of trustworthiness, add some statistics on your website. Use clean widgets and big font to show how many photoshoots you’ve had, how many clients you’ve served, how many photo galleries or images uploaded your website has. Don’t forget that a blog may bring you additional traffic, giving your photography service even more exposure. You should definitely visit live demo and item’s page to get more details. 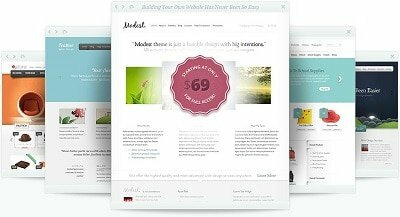 Templatemoster offers high quality WP theme with years of experience! Great support, documentations and updates makes them one of the leaders on the market. Etudes photography wp theme is excellent solution for your photo showcase. It’s brand new theme from themeforest with all the important features and trendy design. Author focused on galleries and there are different types you can choose from, such as, flow, ribbon, kenburns etc. Etudes comes with 5 pre-designed homepages which are truly professional and as a photographer you will have dilema which one to go with! I recommend to import demo content first and choose one of the homepages and then customize for your needs. Starting from the scratch is time killer! You should rather spend more time on choosing the best eye-catching photos from your portfolio and make sure they represent your skills! What else? Etudes comes with bunch of features, such as, clean code, high speed loading, seo optimized, advanced typography, 100% responsive, easy color management, PSD files included, isotope support, etc. Theme is developed by one of the elite authors from themeforest! This fact can ensure you about quality of product and additional services, such as, documentation, support or updates. Don’t hesitate and visit live demo to understand what I’m talking about here. Trend is ultimate wp photography theme suitable for portfolio, photography, article, creative or gallery websites. It comes with all the amazing features you need for creating outstanding portfolio showcase of your photographs. Trend has bunch of main features which will be definitely essential for your creative showcase site. Full background video allows you to create your own video gallery or video homepage background with automatic play. Content on the pages is loaded by ajax requests which are creating great user experience. There are 3 different portfolio layouts available with bunch of animations and very easy customization. Full page gallery is clean and simple solution for gallery navigation which you will find quite handy. Another useful thing is unique category slider with quick grid view for easy and fast navigation. Category slider can improve first impression a lot. Trend is fully responsive and support all mobile, tablet or laptop devices. If you are a photographer with minimum of web designing / developing skills and you would like to get professional looking website done, then this theme is the right one for you. Just follow attached documentation, load demo content after theme installation (only 1-click), stay in touch with author on support forum and keep your theme updated. All these benefits come with template for FREE and they will save you plenty of time. Having professional photography showcase of your work on self hosted domain (website) is important nowadays and gives you tons of credibility. Smarty is premium photography theme for creating professional wordpress website! Very trendy full screen presentation will sell your work and services. It’s super mobile friendly and looks amazing on every browsing device. It comes with advance trending style which allows you to choose one page version or multi-page version of the theme or 2 different color versions (black & white). Portfolio options are amazing and you are able to use 9 completely different layout styles. There is also 5 blog styles and 38 HTML files available within the package.Theme comes with clean code and it’s SEO friendly, W3C validated and has bootstrap 3 with less processor. What else? In the package you can find 61 PSD files which can be amazingly useful if you plan adjusting the theme for clients preview for approvals. Theme is very easy to use and very photographer is able to build up his portfolio by himself. No coding skills needed! You can setup all the pages layout / content with visual composer, which is easy to use and also comes for FREE. Since it’s premium plugin, you will save up 30 bucks. Not bad, right? When it comes to customizing and adding your own content, just make you sure you upload your best work and showcase your strong points, whether it’s creativity or high quality or something else. Your visitors will definitely appreciate it and if they have good experience on your website, they’ll hire your from some work. Having own domain based portfolio website is crucial for every photographer nowadays. These days all the people expect you to have it and if you don’t have one, they usually start thinking you’re not professional photographer. I guess, you don’t want that. Bluebird is WordPress theme for professional photographers but no web developing or designing skills are needed! Layout is very clean and meets all modern web design trends and your will stand of the crowd on the internet. Bluebird comes bunch of pre-designed layouts, such as, three portfolio pages, 2 different blog styles, pricing pages, video background pages etc. All of these you can easily import from demo data included in theme package. Trust me, you will save plenty of time. For photo portfolio showcase you can choose from outstanding horizontal version, masonry with hover effect and masonry with thumbnails. What else? Bluebird comes with other important features, such as, gallery password protection option, video welcome page, vimeo & youtube integration, portfolio albums, services pages, carousel slider, SEO optimization, 1-click demo import, social media integration etc. Bluebird is also fully responsive and mobile friendly. Your visitors will be able to check out your photos on any type of internet browsing device supporting any web browser. Theme is fully supported for all customers! You get support from developers team, detailed documentation and regular theme updates. With all that together you will be able to setup your photography portfolio without knowing any of coding / designing skills. Everything is easy and intuitive! Don’t wait, visit items page and live preview versions of all pre-designed pages of Bluebird. Looking for trendy & modern wordpress photography theme? Clean Photo is definitely one of the best wp themes of 2019! It’s been on themeforest for only 2 weeks but it’s rocking its category already. It comes with tons of premium features and plugins. You can for example get visual composer, revolution slider, ACF pro plugin for FREE included in the package. They are all together worth $71 which is more than actual price of the template. How cool is that, right? Theme comes with pre-designed stuff such as, homepages, headers, menus, blog posts, portfolios, portfolio items etc. Every PRO photographer who’s not experience in web design will definitely appreciate all these pre-made things. You can easily load all of it by importing theme’s demo files. There is also professional documentation and video tutorials which will guide through the whole process. As you can see you can get your photography portfolio done, with zero skills. What else? There are plenty of other PRO features essential for every website, such as, 100% responsivity, featured tabs, WMPL compatibility, blog sidebar, SEO optimizations, testimonial blocks, parallax effects, icon packages, etc. Make sure you fill you portfolio with best photos you’ve ever taken. Those will impress your website visitors and it will make them to decide to go with you! Hiker has one of the most popular designs in photography wordpress themes category. It’s great example on how modern portfolio of photographer should look like. Hiker has been out there for quite some time and it’s gone through great updates over that period. Template is fully responsive and retina ready what means it’s going to fit any screen and device. It’s super easy to build your layouts because hiker has visual composer included. With this amazing plugin you don’t need any coding skills to get the job done! What else? Hiker comes with premium support, seo optimization, translations, PSD files, demo files and 1-click updates. All these features will make your life incredibly easier and you’ll save hours of your time. Hiker is product of elite author and that’s quite achievment on themeforest marketplace. You don’t need to worry about quality of services offered by author in this case. I would definitely recommend to spend enough time when picking up your photos for homepage. Make sure you choose best work and the most impressive shots. You definitely want to catch first impression and have new clients coming through your website. It’s all about users experience and showing what your visitors want to see. Go a head, take advantage of live preview and play with the functionality before you make any purchase decision. Outdoor is creative photography wordpress theme ideal for showcasing your portfolio and presenting quality of your work. Having online portfolio hosted on your own domain is definitely step one to the success but having quality website which will make your work stand out is gold! Outdoor comes with clean and PRO design which shows definite impression of quality. It’s very modern and trendy looking, once people get to your web they’ll play around. Outdoor comes with tons of amazing features for photographers, such as, visual composer, video backgrounds, 1 click demo import, bootstrap framework, translations, isotope plugin, multiply slideshows, 600+ google fonts etc. You can choose from pre-designed layouts, such as, 6 homepage styles (video, carousel ,slider, slideshow, etc. ), 5 portfolio styles, 9 portfolio single pages. All of these are built with visual composer and that makes it much easier to install and customize. Outdoor is fully responsive photography template which you can load on any device or web browser. You can use it for any type of portfolio, such as, graphic designer, freelancer, artist but it fits best the photographers! You don’t need any special skills to get job done. To install and customize is very easy, detailed documentation is inclueded, author’s support ready and new updates coming up regularly. You should definitely experience this template by visiting live preview and playing around. Don’t forget to put out there your best work and showcase your best looking photos which will reflect the reason why people should choose you! DK is one of the best photography wordpress themes ever! Definitely one of the most popular photography portfolios in 2019 as well. It’s been on themeforest for more than 4 years and it’s been updated to its perfection. Author of the theme is elite author from themeforest with thousands of sales, years of experience and fenomenal customer support. Therefore, you can be 100% sure about quality of documentation, updates and theme support. Themegoods team is trusted by 95000+ customers, that’s huge number! You can use DK for different type of website, such as, portfolio, personal, blog, photography, freelancer etc. Template comes with features, such as, password protected gallery, social media support, 100% responsivity, custom menu, styled typography, gallery admin, full screen slideshow etc. DK comes with tons of pre-designed stuff, such as, 4 homepage layouts, 10 page templates, 6 gallery templates, 7 custom widgets etc. I definitely recommend to visit live preview of the theme to have exact idea if DK will meet your requirements. Make sure you choose the best template for you and your photography portfolio. Your website can become the best way of bringing new clients. Make sure about your website conversion, follow new trends and keep working on your photography skills. This recently released photography wordpress theme has became super popular in its category on themeforest. It has made 600+ sales in only 2 months, that’s quite impressive in photography sector. Theme has been released by one of the elite authors themegoods and you can expect high quality of support, documentation files and upcoming updates. Template’s package is packed with tons of features which every photographer will appreciate for sure. For example, there are 2 pre-designed examples of different layout and design in light and dark version. For your gallery and portfolio pages you can choose from 70+ templates which looks all super professional! For your navigation menu you can choose from 10+ different types of pre-designed menus. Theme comes with photo proofing which allows to setup password on certain galleries and you can let you customers to approve or reject photos. What else? Theme is super easy to use thanks to drag & drop builder and live customizer. No skills needed! Every photographer will benefit with this template and new fresh design. Theme has tons of others standard features which you can check in detail on items page or you can try live preview as well. Vega is very popular photography wordpress template which has been one of the bestsellers on themeforest in its category. You can display your works & photography in uniquely whether classic gallery layouts ex. fullscreen, grid, masonry or using theme built-in content builder which allow you to create multiple layouts in single page without touching theme code. Yes that’s right, you do not need any web design skills to get the job done! Vega comes with cool features, such as, content builder, private gallery option, advanced theme panel, revolution slider (included for FREE), 100% responsive design, off-canvas navigation, WPML translation etc. Author of the theme ThemeGoods is one of the best in marketplace and they been providing 5* support ever since! You can’t go wrong with their templates. If you ready to show off you amazing photography it’s time to sit down and get the web done or hire somebody to help you out! I think every photographer should have great PC skills and I believe you can get job done by yourself! Border is very popular photography wordpress theme from themeforest. It’s been available there for sale since feb 14 and with its 3000+ sales it’s definitely one of the leaders in photo category! It comes with very unique and professional design which will promote your photos in stunning way. It comes with different gallery layouts, such as, slideshows, grid based or masonry. Gallery cover text is cool feature which will give your blog awesome look for sure. Border comes with other features, such as, full social integration, mobile ready, 600+ google fonts, translations, pixcodes plugins, powerful admin and PSD files. You can choose from 12 custom page layouts which are super easy to setup, it will save you plenty of time. For amazing user experience author added ajax page loading which gives your websites smooth animated transitions. Border comes with all premium additions, such as, documentation, support and updates. It’s been released by one of the power elite authors and you can be 100% sure aboud the quality with their experience. Read some tips on how to improve your photography website! Photographer is very clean wordpress theme for showcasing your photo portfolio. It comes with very modern and minimal layout which will promote your work in professional way with no distractions! It’s ideal for outdoor, portraits, people, faces, nature or any other types of photography. You can choose from 4 different homepage presentations, 2 blog layouts and bunch of different portfolio styles. Template is social media friendly and you can add 30+ social media accounts and use custom widgets for flickr, instagram, pinterest, dribbble, picasa or youtube. It’s very easy to use and you do not need any coding experience! In case you end up in trouble, feel free to contact support forum of the author. You can also run you photography website in multiply languages thanks to WPML compatibily. Tempalate comes with detailed documentation and we recommend to follow all the steps while building your website, especially when it’s your first time using wordpress premim theme. Feel free to ask any question in comment section of this article or you can ask straight the author on marketplace! 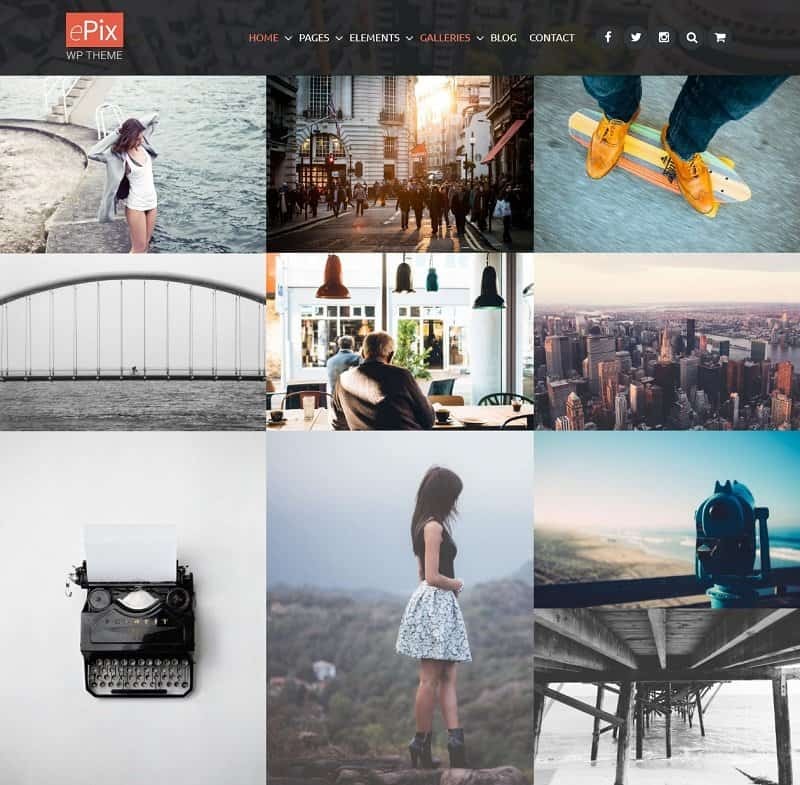 ePix is professional photography wordpress theme and one of the most successful in its category on themeforest marketplace. It’s been there for more than 2 years and has over 3000 sales. Template fits any type of portfolio or photography showcase website. You also run blog on your website and setup about, contact, pricing pages. ePix theme comes with some cool premium features, such as, fullscreen slider, skin editor, visual page builder, parallax effect, client login and plenty of photo galleries. You can speed up your work by using great live customization where you can modify or create skins. In case you decide to sell your products online, you can simple install woocommerce plugin which is fully compatible with ePix. For getting your photography website done, you don’t need PRO web designer or any coding skills. Template is easy to build and comes with detailed documentation, support and regular updates. You can take advantage of 1-click demo imports which will save you plenty of time while building the layout of your web. ePix is super easy template for photographers who would like to get their website done by themselves and save some money! Template is 5 stars rated and went through plenty of updates, what means that you don’t have to worry about quality. Check out some tips for building perfect photography portfolio. Another cool photography theme for creative photographers who like to show off work, blog or sale on their website. It’s very modern theme with bunch of amazing features which every photographer needs. It’s very flexible and it fits any creative blog, travelers website, video gallery etc. You can sell your photos, show pricing plans, set up bookings, etc. Template is very new but already popular among themeforest marketplace. Social sharing is made easy so your work will spread out very quick and you might get some more clients straight away. How cool is that? Your readers will have great reading experience because blog comes with reading mode for stories. If you’re traveling around the world, you can get map of your photos ready! Anyway, all that might look complicated to get done, but trust it’s peace of cake. Template comes with detailed documentation, full support and regular updates. It also comes with pre-designed demos which you can easily setup within couple of clicks. No coding skills required, just your photography skills and your amazing portfolio. Another amazing portfolio photography wordpress theme for showcasing the best shoots! Layout is very elegant and modern and that’s exactly what you need to give your visitors great experience while searching your website. Once you impress people and they like you, they can convert and become your customer. You use it for different types of photographers, such as, wedding, fashion, art etc. Template also fits blog or agency website. Don’t feel limited! Panama is fully ajaxified and that allows you to use plenty motion effects for photo sliders or galleries. Template is very easy to build and as with all the other wordpress theme you can get your website done in few days. It comes also with pre-designed demo content and save yourself plenty of time. Panama comes with bunch of other features for photography website, such as, mobile compatibility, filterable portfolio, gallery archive, full screen preview, 5 gallery layouts, image copyright protection, password protected galleries etc. Definitely try out live demo and see if it fits your photography work! Bow is another wordpress theme for photographers with very clean and minimalist design. Layout is very modern and the galleries come with smooth CSS3 effects. Bow is 100% responsive and retina ready. It’s friendly on any screen size and any type of internet browsing device. Bow comes in three different layout versions, such as, image & video background and content slider. Template comes with premium live customizer which can save you a lot of time while adjusting your colors and other simple settings. Bow does very well in the speeding and SEO tests which is very important for your rankings in search engines. It comes with bunch of other features, such as, unlimited colors, 600+ google fonts, page templates, logo upload option, demo content import etc. If you’re photographer and you’re looking for smart and effective portfolio solution, bow is definitely good choice. Template comes with documentation, full support and free updates. You don’t need any coding skills to get the job done in couple of days. WordPress is very easy and premium templates are definitely good way to go! Core is one of the oldest and best photography wordpress themes on themeforest! It’s been catching eyes of photographers since 2011. Core has helped to build over 13k websites full of amazing photos and images. If you are looking for template with stunning design, 100% quality of code and TOP service then Core is definitely your choice. It comes from the great portfolio of Themegoods team which is one of the elite authors on themeforest.net. They’ve been rocking there for couple of years and they have over 90,000+ customers. You just can’t go wrong with when buying their stuff. Core comes with bunch of amazing features, such as, 3 homepages, 8 custom widgets, 4 portfolio styles, google fonts, extensive galleries, valid HTML code, tons of shortcodes, jQuery powered effects etc. Core is truly one of the best photography templates you can get on the market these days and highly recommend it. You amazing photos deserve to be on professional looking portfolio website which will be able to convert your visitors into future clients. Good luck with your website and happy photo shooting! Chitra is one of the most popular photography wordpress themes on mojothemes.com. Template offers different types of layout for your portfolio presentation. You should definitely check out live previews of all demos and then consider. Chitra comes with very cool features, such as, header skins, integrated sliders, one click demo import, fully responsive, SEO optimized, retina ready, google fonts etc. Template is very intuitive and you don’t need any designing skills. Pretty much any photographer can build his own portfolio in couple of days. Most of the elements and functionality are pre-made, plus theme comes with FREE support, detailed online documentation and FREE regular updates. There are 30+ shortcodes which will save you a lot of time while putting your layout together. Focus on your best work and try to show off that on your homepage above the fold. You customers will notice the quality of your work and they will eventually become your customers. Having online portfolio is essential part of the business for every photographer. Don’t hesitate and build one for yourself. Photo me is very clean and professional photography wordpress theme for creatives. It comes with tons of features and pre-designed pages and subpages. 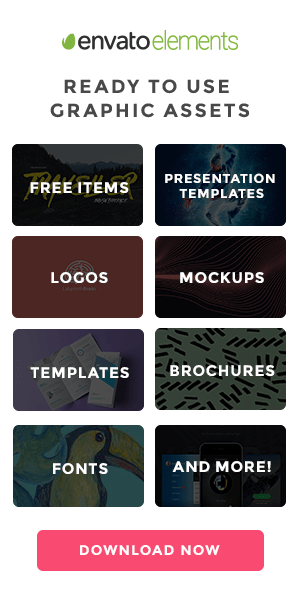 You can choose from 8 demos and 50+ gallery and portfolio templates which can be easily imported in 1 click! It will save you a lot of time while developing your website. Photo me is fully responsive and optimized for google search engines. It’s easy to setup and with drag and drop content builder you’ll be able to setup your photography portfolio very quick with no dramas. In case you need help with setting up stuff you can submit ticket to support forum or you can dig in the documentation. Template comes with free updates which are great for upcoming changes in the future. With photo me you can run a blog and there are 6 blog templates ready as well. Photo me comes also with compatibility for woocomerce plugin! This free plugin will allow you to create your own eshop inside you website. You can sell you photos online for example, how cool is that? Feel free to check out live demo and test template by yourself. Coastline is beautiful wordpress template for creating portfolio websites! It’s ideal for photographers and showcasing of their work. It’s very unique theme issued by cssigniter.com marketplace. They have bunch of amazing template in their club and you can get access to all of them for couple of bucks. Layout is fully responsive and very flexible, what allows you to create different looks for your website and you can track performance and conversion in an effective way. All the themes by cssigniter have great pagespeed and yslow grades what is great for search engine rankings. Coastline is multilingual template which is very easy to translate and setup into more languages. Cssigniter will assist you all the way until you get you website done so feel free to take advantage of all tutorials, documentations and support forum. Lens is absolute best seller in its category on themeforest! There are more than 3700 happy customers using this amazing template for showcasing of their work and business. It’s been out for sale for 2+ years and it’s constantly upgraded and improved. Lens comes with stunning fast and smooth animated page transitions which will create amazing visitors experience while scrolling through you website and observing the work. Support of the theme is rated by 5* and that can ensure you about the quality of the team and template as well. Feel free to contact them any time you face any issues. You might be lucky and you find answer to your questions in portfolio before you submit new ticket. Lens comes with bunch of shortcodes and plugins which will save you time and boost your website. There are 4 different types of galleries, such as, full screen, gallery, full width and grid of thumbnails. Don’t hesitate and check live demo, submit pre-sale question and get to know the template before you buy it! Kinetika is one of the best photography wordpress themes for building a portfolio website. Fullscreen layout serves professional visitors experience with bunch of amazing effects! It comes with tons of features, such as, fullscreen slideshow, audio slideshow, Youtube, Vimeo and HTML5 videos, revolution slider, page builder, shortcode generator, etc. You can easily run an eshop as well and setup your product pages and shopping cart! Kinetika has special features for events and it allows you to manage and organize different types of events through your website. Template is 100% responsive, SEO optimized, password protected and it scores 95% for speed test. Support, documentation and free updates come with the theme and you can expect quality of the elite author. If you’re looking for powerful photography template you definitely found one! See live demo and try it out. I hope you’ve enjoyed the collection and found template you were looking for! Make sure you’ll pick up the best of your photos for you portfolio, fill up your about page, connect your social media and add all contact information. Website in photography is very important nowadays, since people we’ll use photos online and present themselves. This is an amazing collection! I was searching for the Core minimalist theme and I came across this. I had almost finalized my purchase and now I’m confused again 🙂 Thanks for putting this up! I really like all the themes here. I am currently using Hiker theme. yeah that’s for sure one of the TOP themes, enjoy! I am part of the ThemeIsle theme and i want to thank you for including our theme, RokoPhoto, to your article. We greatly appreciate. you are welcome, your theme is amazing! There are a few themes which are my favorite like “Panama – Photography Portfolio Theme”. yeah! that’s one of my fav also.. I am WordPress Developer and i have 20 Free WordPress Themes approved by WordPress.org. can you add above Themes in your new blog Post? thanks for sharing, I will check it out! All the themes are very unique and artistic. I guess I need to put this on my list it looks perfect for my business. 🙂 Job well done guys thank’s for sharing this useful theme.